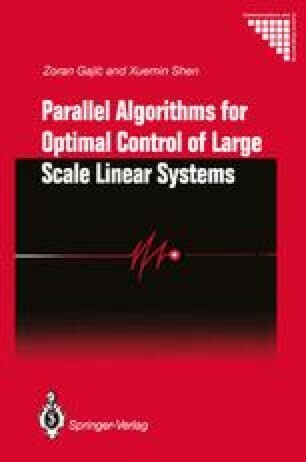 In this chapter, we study the main algebraic equations of the linear steady state control theory: the Lyapunov and Riccati algebraic equations, for both singularly perturbed and weakly coupled systems. We derive the corresponding recursive, reduced-order parallel algorithms for the solution of these equations in the most general case when the problem matrices are functions of a small perturbation parameter. The numerical decomposition has been achieved, so that only low-order systems are involved in algebraic computations. The introduced recursive methods are of the fixed point type and can be implemented as synchronous parallel algorithms (Bertsekas and Tsitsiklis, 1989; 1991).